The Buy 5 Save $5 Mega Sale is back at Kroger! Downy Unstoppables 6.5 oz is included in the Kroger Mega Sale for only $3.99 each when you buy 5 participating Mega Sale items. 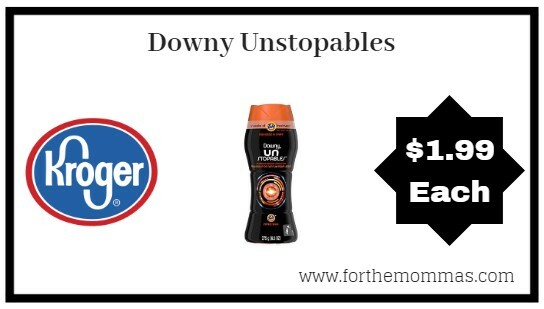 We also have a $2.00/1 Downy Unstoppables P and G printable coupon available to stack with this deal that will make the final price only $1.99 each!